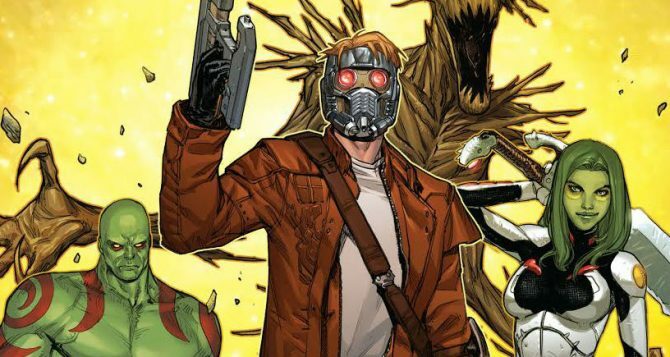 This giant-sized Guardians of the Galaxy collection is the very definition of "new reader friendly," but needs to be recognized for what it is: A sampler. 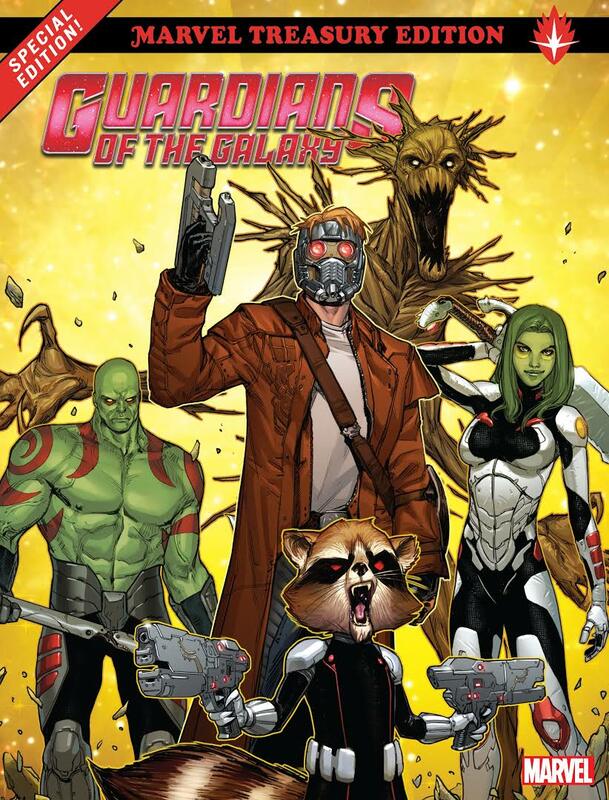 This review is based off a volume that collects Guardians of the Galaxy (2008) #1, Guardians of the Galaxy (2013) #0.1-1 and Rocket Raccoon (2014) #1. Confession time: I have no love for the Guardians of the Galaxy characters, and my excitement level for their upcoming movie is nearly at zero. Having said that, it shouldn’t surprise you that Rocket and Groot’s charm has no effect on me. I know, I’m made of stone. But, if you can put characters in a story or package that seems intriguing to me, I’ll give it a chance. In this case, it happens to be a treasury edition. If memory serves me correctly, I’ve never owned something like this. So, when this beauty came across my desk, I knew I had to read and review it. Measuring about one and a half times the height and length of your average comic book, I’m actually quite pleased to own this giant-sized paperback, no matter who’s on the cover. Unlike most collected editions, this compiles introductory issues as opposed to a complete story arc. I’m guessing the enticing presentation is meant to serve as a jumping on point for new readers, and to get them to purchase the corresponding trade paperbacks. Given that the inside back cover advertises each of them, I’d say I’m probably right on both counts. Kicking things off is 2008’s Guardians of the Galaxy #1, a read made particularly interesting by the fact that the first feature film had yet to be a thought in anyone’s mind and was probably greatly influenced by this particular run. 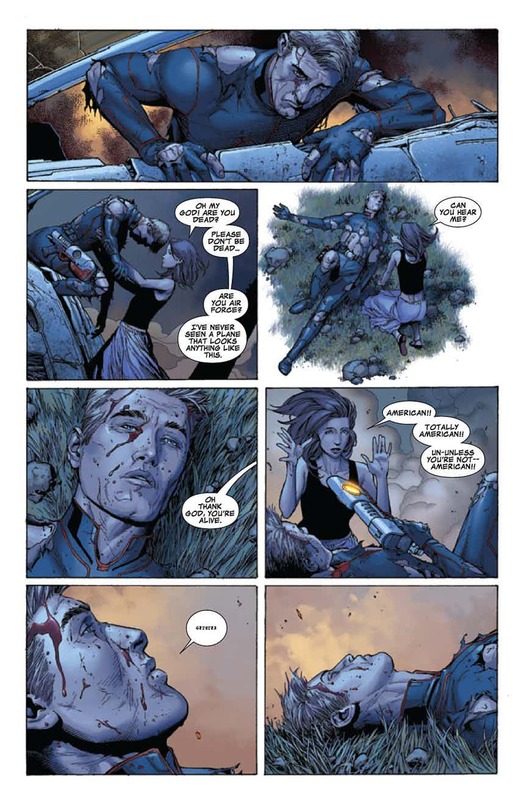 Creators Dan Abnett and Andy Lanning bring together the very same lineup seen onscreen – Star-Lord, Rocket Raccoon, Drax the Destroyer, Gamora and Groot – in addition to a few others. What’s more is that a catastrophic event makes sense of the group’s namesake. Paul Pelletier rounds out the major contributors, lending set pieces that look like Star Trek/Devil May Cry hybrids, all of which appear truly spectacular in this large format. Moving on, we come to 2013’s Guardians of the Galaxy, which was developed within arm’s reach of the movie. Issue #0.1 is included and, before I proceed any further, I just want to say how goofy I think it is to number anything with a “0.1.” Yes, I’m fully aware that Marvel puts a “.1” on interlude issues or ones that are meant to be jumping on points, but seriously, can you possibly think of a better jumping on point than a plain old “#0”? I didn’t think so. 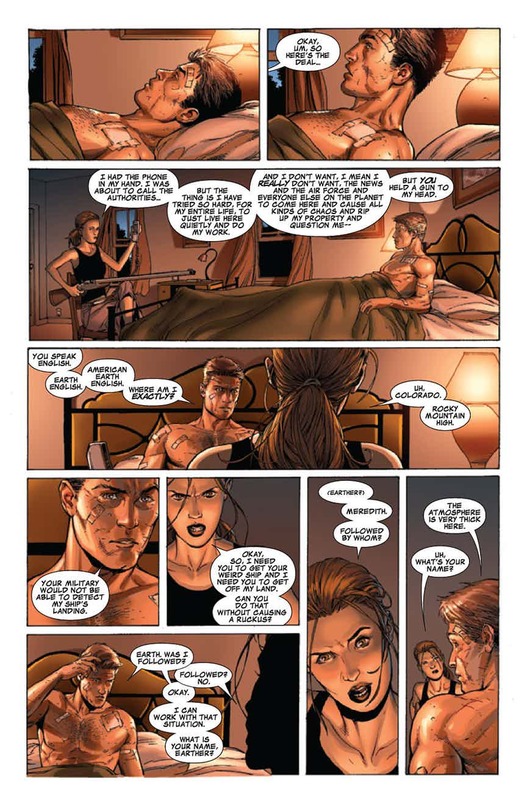 Anyway, this is where Marvel’s go-to guy, Brian Michael Bendis, details the background of Peter Quill, effectively using his knack for writing golden dialogue in order to craft a real page turner. Furthermore, Peter’s mother’s death and his origin were much more interesting than what was seen on film, which came off as a cheap plot device used to sell soundtrack albums (face it, that’s all that “Awesome Mix Vol. 1” really was). Maybe if the cinematic version possessed this level of gravitas, I wouldn’t have hated him so much, but that’s a conversation for another day. 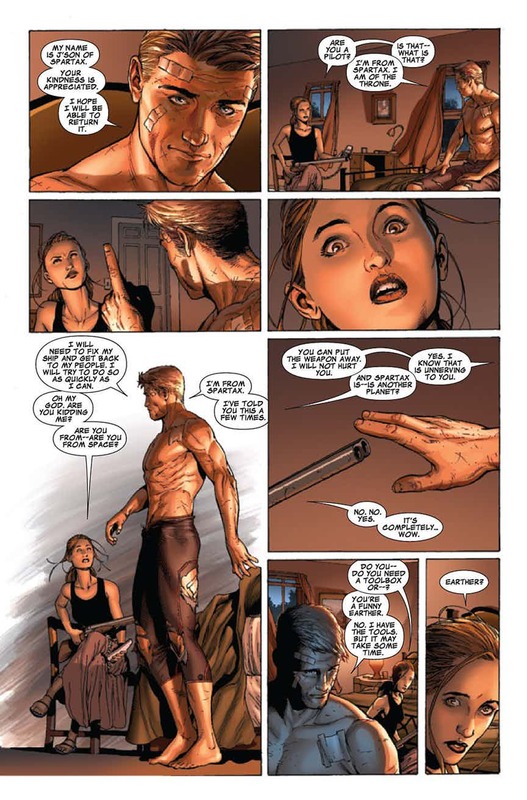 When we get to the first proper issue of that run, Bendis and superstar artist Steve McNiven unite your aforementioned favorites with Iron Man, whom was no doubt added to the team in order to generate interest in this franchise (again, look at the time the story was originally published). I’d liken this to whenever DC shoehorns Batman into something like Justice League Dark in an attempt to produce similar results. Although this chapter flies by, I’d say that if any one inclusion did the best job of making a sales pitch for its corresponding trade paperback, it’s most assuredly this one. Come on, you have to admit that pitting Star-Lord against his father is the slightest bit intriguing. Oh yeah, it definitely happens, but all we get is setup, so it’s not like I can discuss it any further. 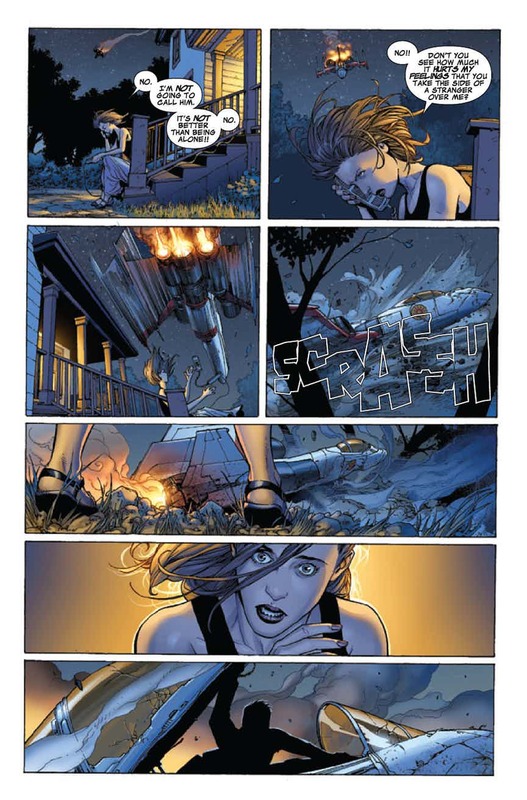 The book concludes with Rocket Raccoon (2014) #1, which, to be quite honest, you have to be a fan of the character to get the most out of. And while I fully admit that Skottie Young has a firm grasp of who Rocket is, I simply don’t dig his artistic style. Needless to say, this was my least favorite inclusion. Personal preferences aside, I recommend Guardians of the Galaxy: All-New Marvel Treasury Edition for new and old readers interested in this property. But, as I said earlier, be fully aware that you’re in for an anthology experience, not a fluidly told story. Frankly, I wouldn’t mind adding more treasury editions to my collection in the future.